2007 was a very busy year for Henry Rollins. He traveled to Iran, Syria, Lebanon, and Pakistan, where he was staying when Prime Minister Benazir Bhutto was assassinated. While traveling, Rollins performed numerous spoken word shows and worked on films, his IFC television show, and Harmony in My Head, his popular weekly radio show. In short, a quintessentially Rollins-ian year: sleepless, nonstop, and highly productive. 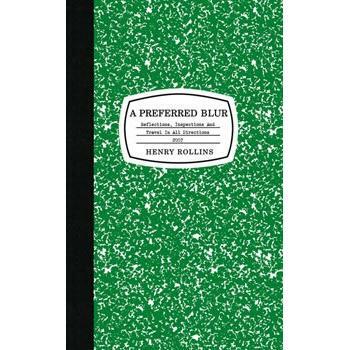 A Preferred Blur contains stories written in the form of journal entries from Rollins' travels throughout the year. As in his other travel-related books and journals, Rollins writes not only about his own life and work, but of music, current affairs, and the world around him with humor, insight, and brutal honesty. A few photos (b&w).